ITBP Recruitment 2018 -19 Notification is here for the various posts. 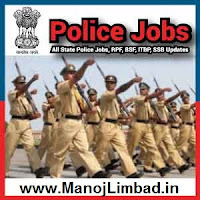 In The Indo Tibetan Border Police Published the are 324 vacancies for Constable and Sub Inspector Posts. Candidates who are waiting for ITBP Jobs 2018 Can apply before the Last Date as mentioned in the ITBP official website @ www.itbpolice.nic.in. Aspirants Can get more Details ITBP Vacancy 2018 here. Furthermore, check this page often to get the latest news updates about ITBP Notification 2018. So, without, any delay start applying for your ITBP Recruitment Advertisement. Before that read this whole article to get all the required information regarding the ITBP Recruitment notification. i) 10+2 pass from a recognized Board or Institution. ii) Certificate in Motor Mechanic from a recognized institution or Industrial Training Institute with three years practical experience in the trade in a reputed workshop or three years diploma in Automobile Engineering. (i) Matriculation or 10th class pass from a recognized Board or Institution; and (ii) Industrial Training Institute certificate in respective trade from a recognized institution; or (iii) Three years experience in respective trade from a recognized firm. Fee: Candidates belonging to General(UR)/ OBC category applying for recruitment to the above posts should pay Rs. 100/- (Rupees one hundred only) as application fee through online payment gateway system on www.recruitment.itbpolice.nic.in. Application received with any other mode of fee payment will be summarily rejected. Candidates belonging to Scheduled Caste, Scheduled Tribe and Ex-servicemen are exempted from paying a fee.